There’s nothing like the relationship between a quarterback and a wide receiver. 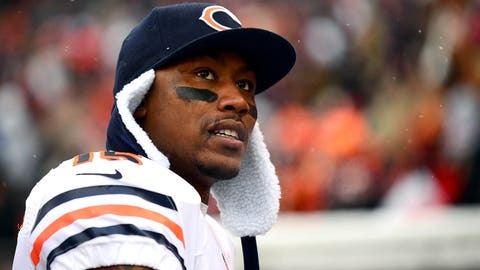 Brandon Marshall isn’t afraid to let the world know. The Bears receiver does have a lot of affection for starting quarterback Jay Cutler, who made his return to the lineup against the Browns on Sunday. The team showed some guts in the snow and earned a hard-fought 38-31 victory. Cutler was doing an interview on the field after the game when Marshall walked past and gave him a quick kiss on the cheek. Aww, that’s nice.